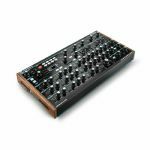 Peak is an eight-voice desktop polyphonic synthesiser with three New Oxford Oscillators for each voice. The oscillators sound completely analogue by being high-quality NCOs (Numerically-Controlled Oscillators), but gain the flexibility of the digital domain with 17 digital wavetables. 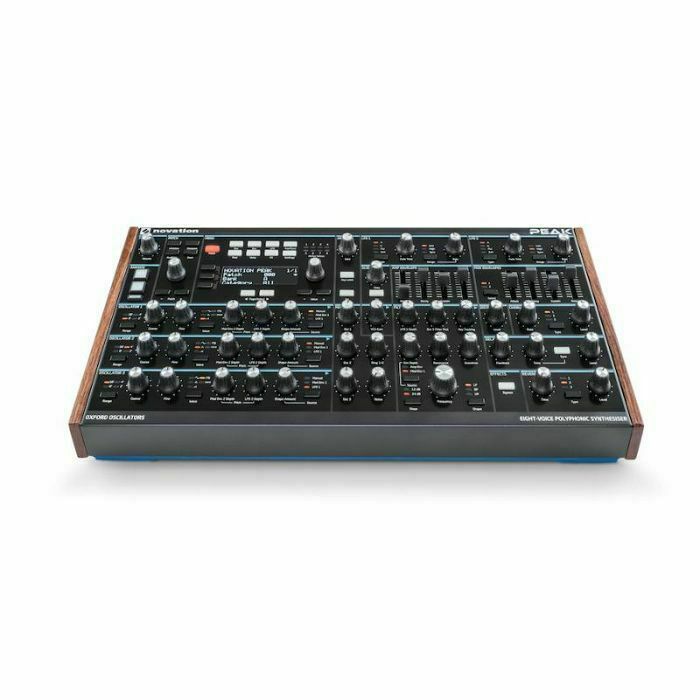 They can also become a linear FM source using either the analogue-sounding NCOs or digital wavetables - so are able to cross-modulate in a recursive loop. 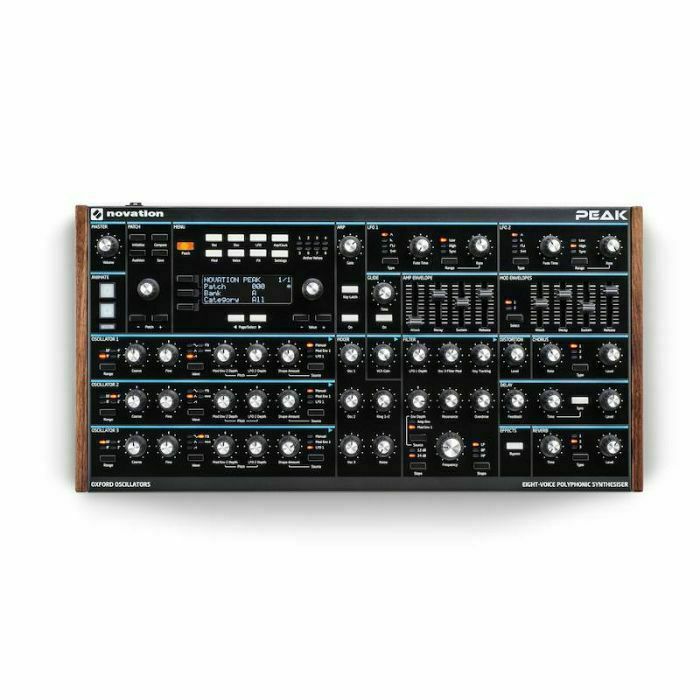 The synth has a resonant multi-mode analogue filter for each voice, and three distortion points for each voice - pre-filter, post-filter and global - in an analogue signal chain. 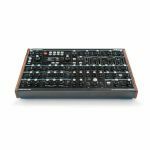 Peak is capable of receiving polyphonic aftertouch, which puts expression right at your fingertips. Reverb, delay and chorus effects are at one's disposal, and there is also an on-board arpeggiator.